Mr. Jaime Tovar is an Attorney who graduated from the Universidad Autónoma Metropolitana – Unidad Azcapotzalco de la Ciudad de México. His area of expertise is in Customs and international trade matters. 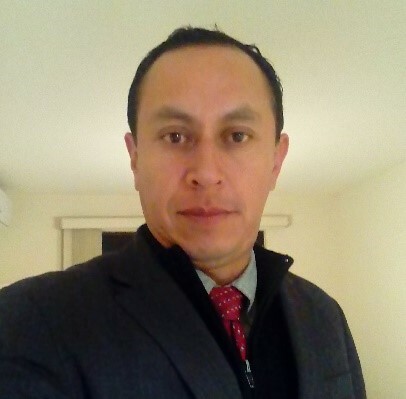 He was part of the Legal Department within the former “Area Contenciosa en la Administración Local de Grandes Contribuyentes (Legal Department of the Local Administration for Large Taxpayers), from the Servicio de Administracion Tributaria (SAT) in Naucalpan, Mexico State. He was responsible for reviewing, drafting and analyzing Motions to Reconsider (Recursos de Revocacion) related to the non-payment of Customs Duties, taxes and fees. He also served as a confiscations and impounds officer for the Administracion Local Juridica de Naucalpan (Legal Local Administrations from Naucalpan), from SAT. He was also a Special Services Customs officer at the Aguascalientes Customs office, appointed to the Customs Section of the Aguascalientes and San Luis Potosi Airports. His duties involved Customs clearance, calculation and review of Customs duties, taxes and fees, as well as, inspection of containers, classification of goods, labeling, country of origin, Procedimientos Administrativos en Materia Aduanera (PAMA), among other related matters. Currently, he represents Grupo Legal Cordova in the Mexican Bajio Zone in Mexico. His extensive Customs and trade experience allows him to successfully represent and advise Maquiladoras/IMMEX, Customs Brokers, law firms and companies doing business abroad. He was a Consular Diplomatic Officer appointed by the Secretaría de Relaciones Exteriores to the Mexican Consulate in Eagle Pass, Texas, EUA. (2008-2011). His duties involved providing Mexican legal and administrative advice to Mexican citizens living in the United States.